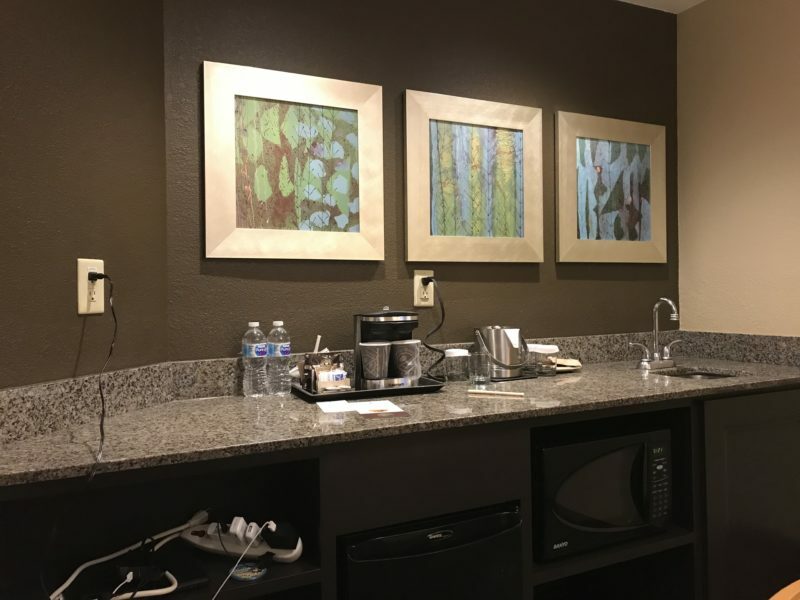 Over Thanksgiving, my family was invited to stay with our friends Sheila, Randy, and Jagan at the DoubleTree Suites by Hilton Orlando — Disney Springs Area hotel. 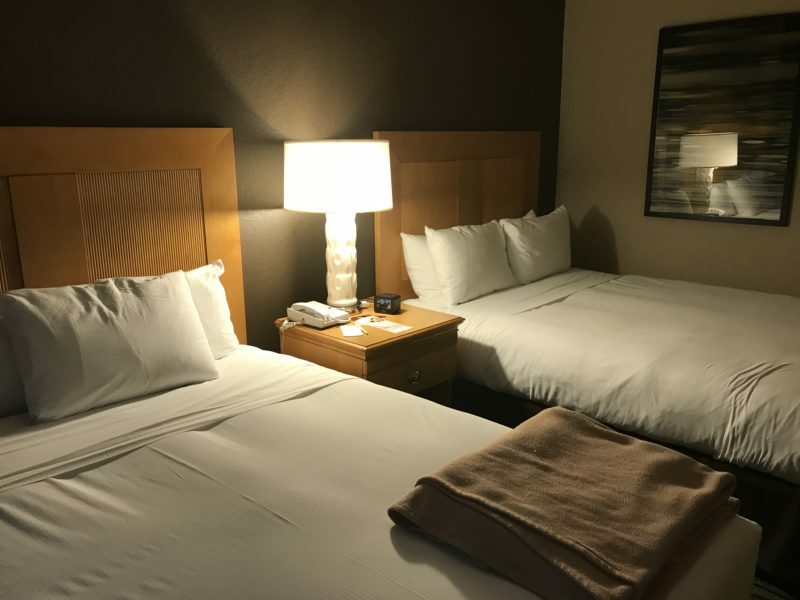 We had an incredible time, and I wanted to let you all know about the hotel and what my thoughts were for staying there. From a location standpoint, the DoubleTree is considered “off-property” — but it appears that some on-property perks will be extended to off-property hotels, such as allowing FastPass+ selections at 60 days instead of 30 days. However, despite it’s off-property location, it is literally minutes from Disney Springs — and on a good day when I wasn’t dealing with a pinched nerve in my leg, we would have walked there for our dinner reservation. Our room was on the 7th floor, room number 703, and featured two queen beds, a queen bed pullout sofabed, a kitchenette, and a single bathroom off of the main bedroom. For the six of us, we had plenty of space, although I think having a split bathroom would be a better way to herd the six of us through the process of getting ready for the parks each day. Here’s a few pictures of the room. The sofabed opened up for the kids to sleep in. 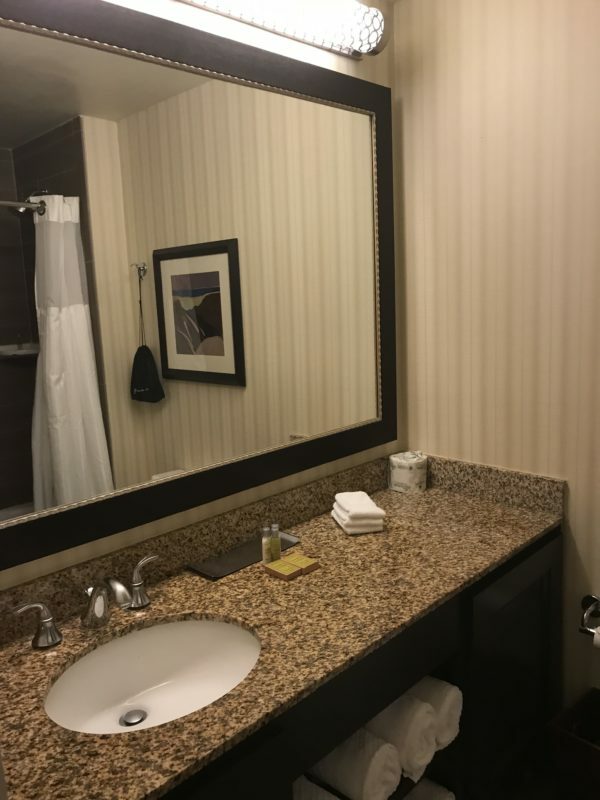 This picture is of the sink in the bathroom. The kitchenette features a sink, microwave, and mini-refrigerator. Two queen beds occupy the bedroom. Not pictured is a space with a table for applying makeup or working on your computer. The beds were incredibly comfortable, and we all slept very well each night. I’ve been told that this room actually could accommodate up to eight people and that two rollaway beds would be used in a case like that. Personally, I think eight in the room would be a bit much, but that’s just me. 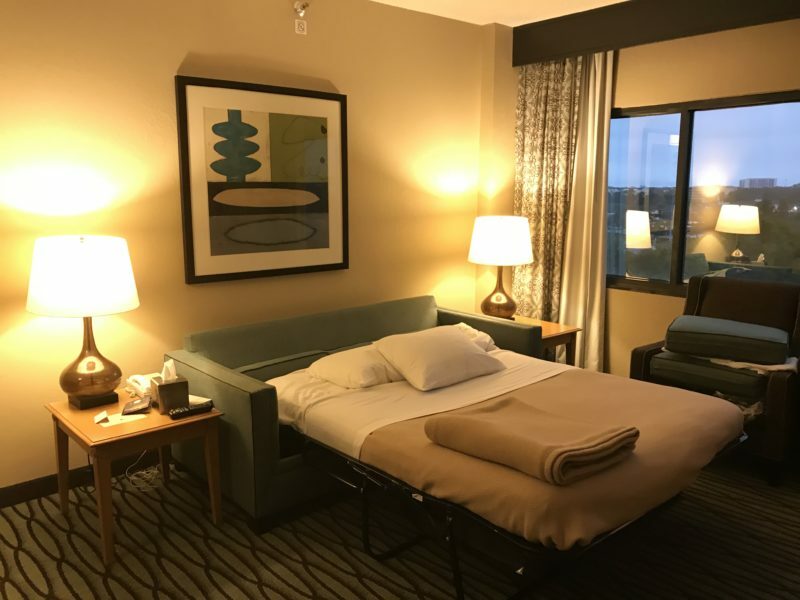 For amenities, Hilton Honors customers can connect to the wireless for free, and for those visiting the parks, they have shuttles that run every 30 minutes to the different parks. We drove to the parks each day because our friends had parking privileges with their annual passes, but keep that in mind if you wish to drive to the parks because it will cost you $20 a day to park otherwise. 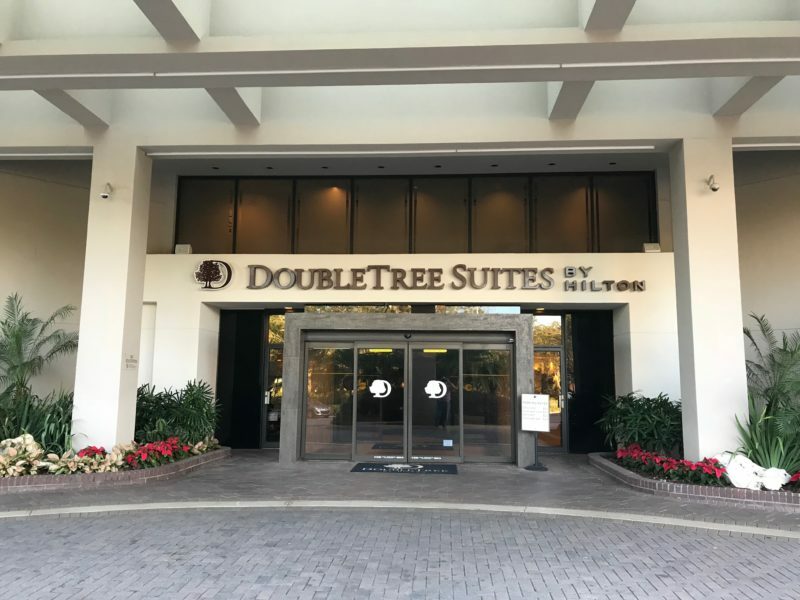 Overall, I thoroughly enjoyed our stay at the DoubleTree Suites by Hilton, and will not be averse to staying there again in the future. My first preference is to stay on property, but if something prevents you from doing so, give this hotel a try. You will not be disappointed! Did Nostradamus Predict Disney Free Dining? Next Post: Looking for a Disney Getaway?